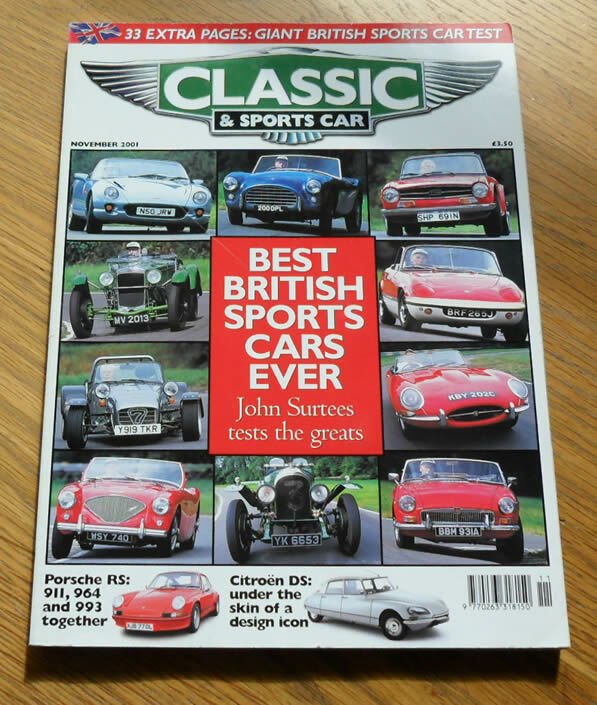 November 2001 of the British Magazine, Classic and Sports Car. 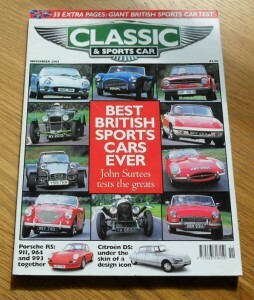 The cover feature of this issue is the best British sports cars ever. Other articles include items on the Porsche RS, Citroen DS, Saab 99 Turbo, Giorgetto Giugiaro and many more.